Wishing you all a Merry Christmas as well as a safe and Happy New Year! 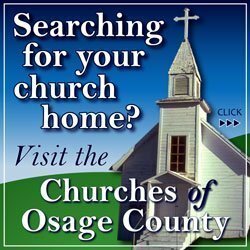 If you haven’t been to visit us at the Osage County Senior Center you must pop in. Don’t forget we provide a yummy and nutritious lunch Monday through Friday. Please call ahead for reservations at 785-528-4906. The center is buzzing with grand ideas and lots of fun. Join us on Fridays for bingo and Wheel of Fortune. Find your inner creativity in our art and sewing room. Exercise Mondays, Wednesdays and Fridays. You will always find a warm cup of coffee and a cookie waiting for you. Happy holidays! 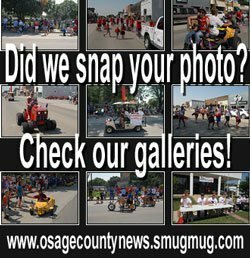 The Osage County Senior Center is at 604 Market St., Osage City. Thursday, Dec. 24: Center closed for Christmas holiday. Friday, Dec. 25: Center closed for Christmas holiday. 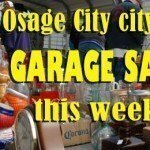 Monday, Dec. 28: Sewing 8 a.m., exercise 11 a.m., cribbage 12:15 p.m., play pitch and dinner 5:15 p.m.
Tuesday, Dec. 29: Ceramics 9 a.m., Mexican Train games 1 p.m.
Wednesday, Dec. 30: Sewing 8 a.m., exercise 11 a.m., cribbage 12:15 p.m.
Thursday, Dec. 31: Closed after lunch for New Year’s holiday, art room open.